The ODG product line provides evidence-based medical treatment, utilization review, and disability duration guidelines to improve, manage and benchmark outcomes in workers’ compensation and non-occupational disability. 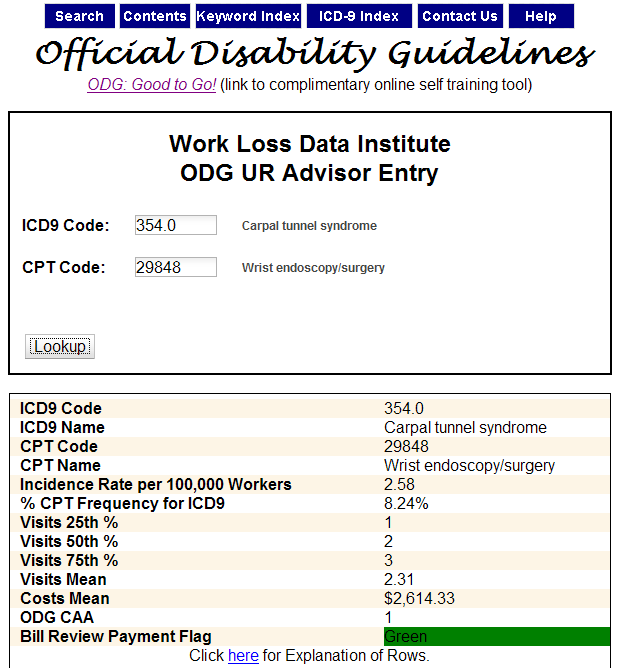 Based on the philosophy that the only way to achieve real and lasting cost-savings is through the delivery of quality and timely care, ODG provides comprehensive evidence summaries of all therapies associated with workplace disability, with recommendations for appropriate use, expected time away from work, and normative utilization data. Independent of any one medical specialty, the objective of ODG is to bridge the interest of all medical societies involved in the diagnosis and treatment process based on the best and latest available medical evidence. Comprehensive, evidence-based, easy to use, and favorably priced, ODG is the most widely used workers’ comp medical treatment guideline in the world, popular among all stakeholders, including healthcare providers, insurance claims professionals, utilization review agents, nurse case managers and TPA’s. 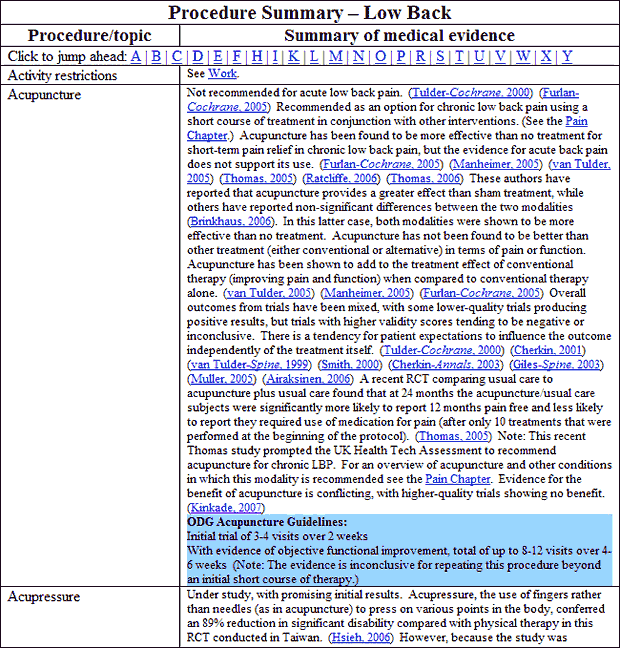 The most important components of ODG Treatment are the Procedure Summaries, where for each chapter (generally driven by body part, with some exceptions based on nature of injury), all the different treatment and diagnostic modalities are listed, with recommendations for appropriate use, including a summary of the medical evidence, with hyperlinks to the supporting studies, provided in abstract form. Also included with the Web version of ODG is the UR Advisor, which maps CPT to ICD9 codes with normative utilization data on incidence, frequency, cost and number of visits, plus the ODG Bill Review Payment Flag, designed to streamline UR by auto-approving procedures consistent with the guidelines. 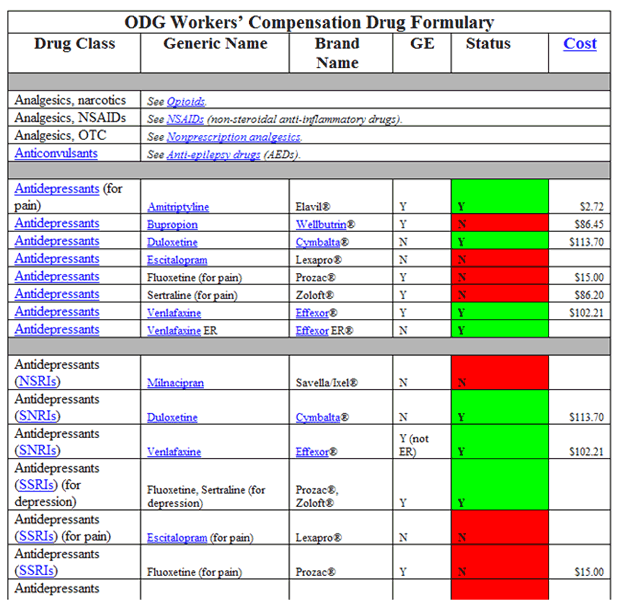 Other features in ODG Treatment include a Workers’ Comp Drug Formulary, including an NDC look-up. 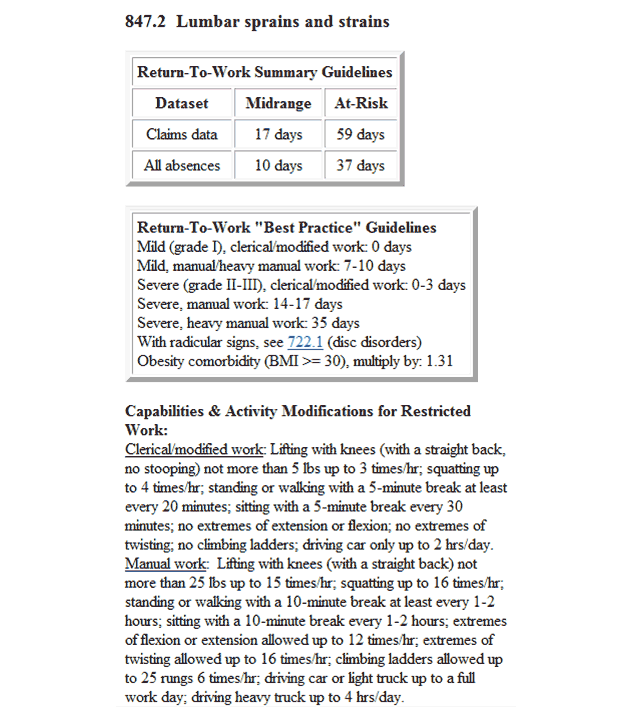 The ODG RTW Guidelines are also included and sampled below for 847.2 (lumbar sprains and strains). The RTW Summary Guidelines show estimated days out of work for each condition using checkpoints labeled Midrange and At-Risk, where the Midrange indicates the time at which 50% of cases return-to-work, and the At-Risk indicates the time at which 90% of cases return to work. Two datasets are provided: Claims data includes only the lost-time or indemnity claims, while the All Absence data includes all injury cases, regardless of duration or causality. While the Summary Guidelines are strictly data-driven, the Best Practice Guidelines are more case-specific, based not only on the normative data but also on an annual peer review and consensus process by the Editorial Advisory Board. They are designed to identify best practices for the management of absence based on the physiological healing time of the human body, irrespective of benefit structure and absent any psychosocial issues. They can be used in conjunction with the Activity Modifications, which help to identify early return-to-work opportunities using modified duty. 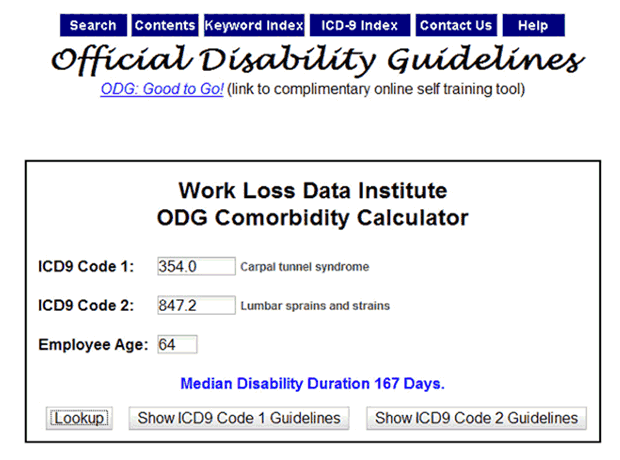 A new tool has been added to ODG called the Comorbidity Calculator, which allows the user to enter the ICD9 codes for co-morbidities an injured worker may be diagnosed with, as well as the worker’s age and ODG calculates an expected disability duration for that case. Though most multiple injuries heal simultaneously and one would expect the duration to be simply based on the most severe diagnosis, there are times when co-morbid diagnoses have a much greater impact than might be expected. Based on a comprehensive and ongoing medical literature review and over 10 million cases, the ODG Treatment and RTW Guidelines are designed to generate cost-savings only through improved outcomes. The only way to achieve real and lasting cost-savings in workers’ comp is through the delivery of quality and timely medical care and case management. 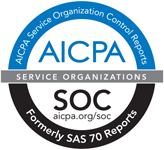 More information can be found at www.worklossdata.com or by emailing ODG@worklossdata.com.